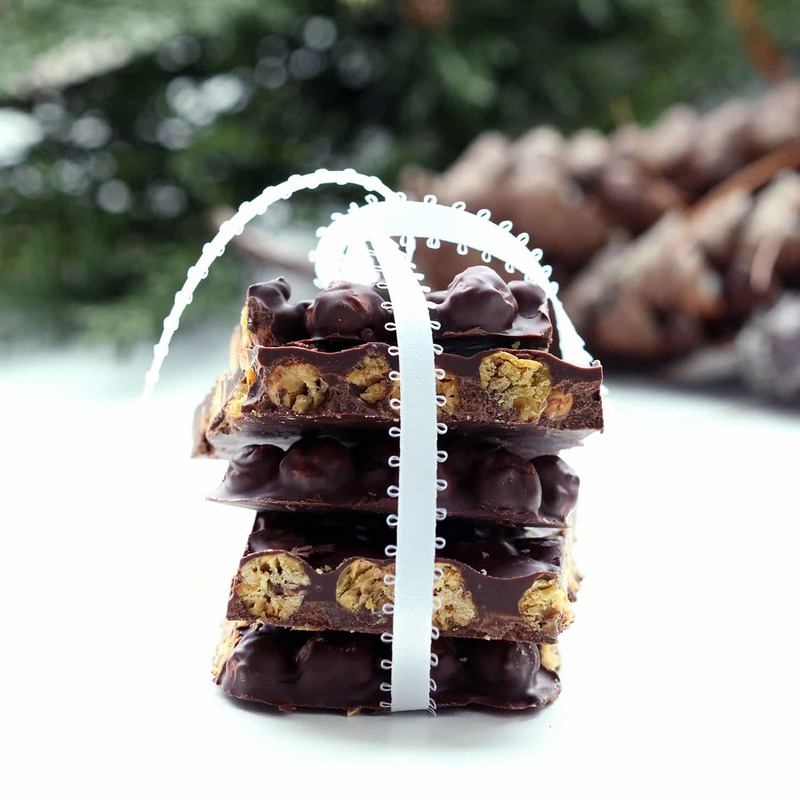 Chocolate Chickpea Bark has it all: sweet and salty, soft and crunchy. A complete taste and texture experience! You will be hooked from the very first bite. Make it a great addition to your New Year’s spread. 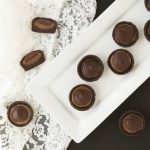 It tastes equally delicious paired with a glass of bubbly or a steamy cup of coffee. Chickpeas (also known as garbanzo beans) boast so much nutritional value I thought they deserved to expand their recipe resume. Don’t get me wrong, I love hummus — which is what chickpeas are probably best known for. Understandably, hummus has gained much popularity in the modern diet. 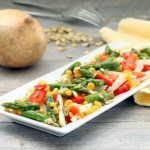 It provides a great source of plant-based protein that can double as a great side dish or a meal in and of itself. But they provide so much more. Read on! 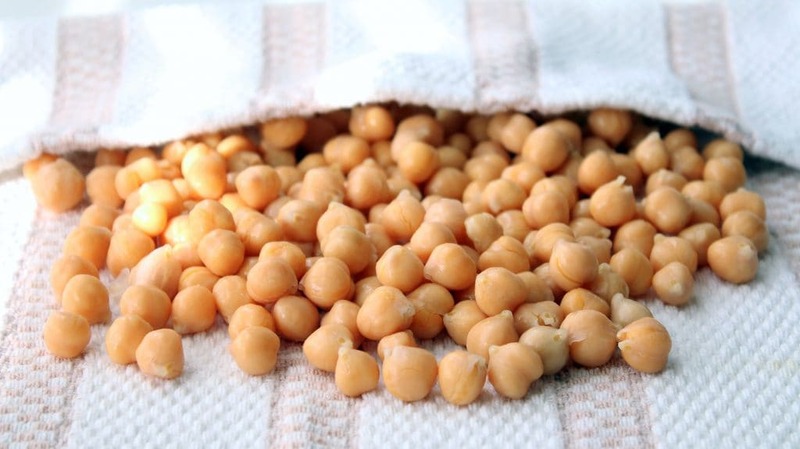 Chickpeas offer a great source of fiber which has a favorable impact on blood sugar and overall colon health. Iron, phosphate, calcium, magnesium, manganese, zinc and vitamin K all contribute to bone health. Chickpeas also contain selenium which is not present in a lot of fruits and vegetables. Selenium can act as an anti-inflammatory and aid in liver enzyme function. What’s not to love?! Roast those little guys up, add some chocolate filled with antioxidants, and you not only have a mouth-watering snack or dessert, but you also infuse your body with a great spectrum of vitamins, minerals, plant-based protein and fiber! 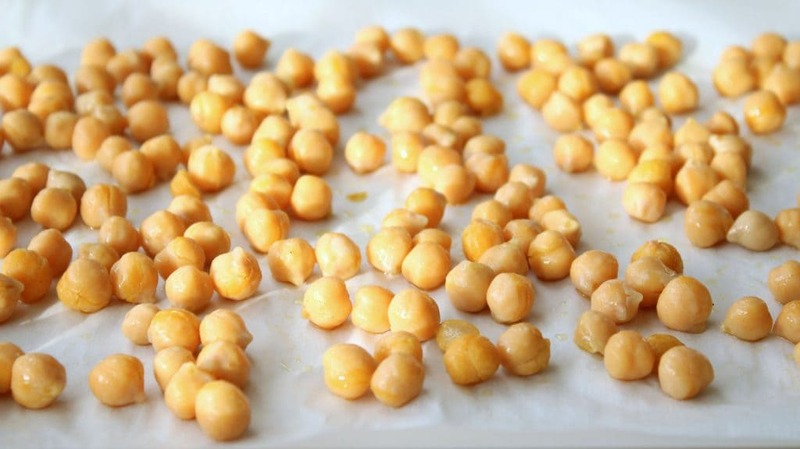 Ever wonder what exactly is the difference between chickpeas and garbanzo beans? 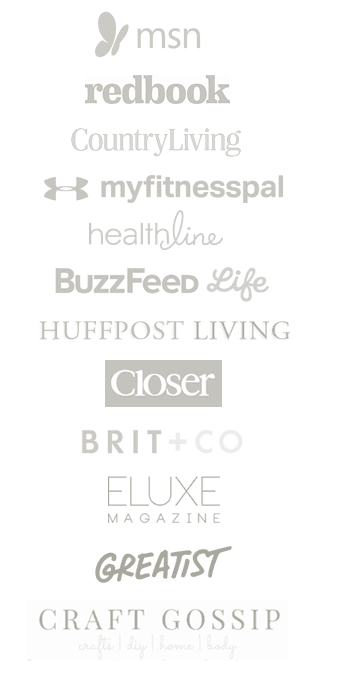 I’ll make this easy for you: absolutely nothing. Nada. They both own the same scientific name. They are the same. So if all you have in your cupboard are cans of garbanzos beans, you’re good to go! I hope you like this new spin on chickpeas as much as we do. If you have kids you may want to make a double batch. 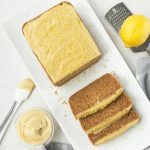 My kids liked this recipe so much I had to place a permanent guard on it until I was able to finish the photography for the post! Enjoy!! 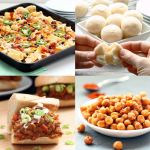 If you are looking for some savory chickpea recipes, check out my Roasted Chipotle Chickpeas, Chickpea “Chicken” Salad, or my Corn and Chickpea Polenta! Or if you are are flavin’ for more chocalaty goodness, try my Fudgy Avocado Cookies or Toasted Marshmallow Brownies! 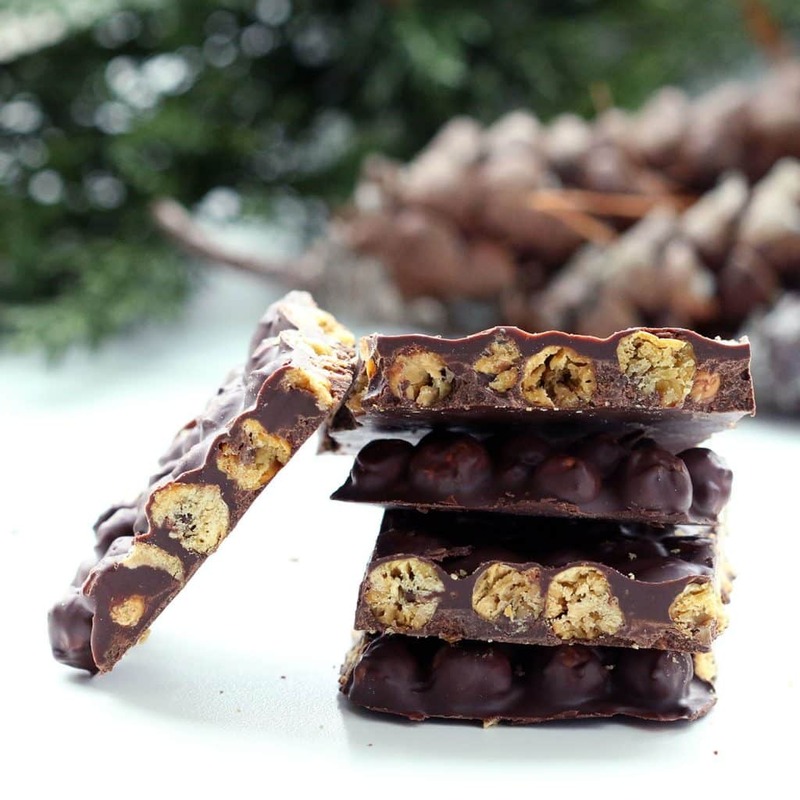 Chocolate Chickpea Bark has it all: sweet and salty, soft and crunchy. A complete taste and texture experience! You will be hooked from the very first bite. 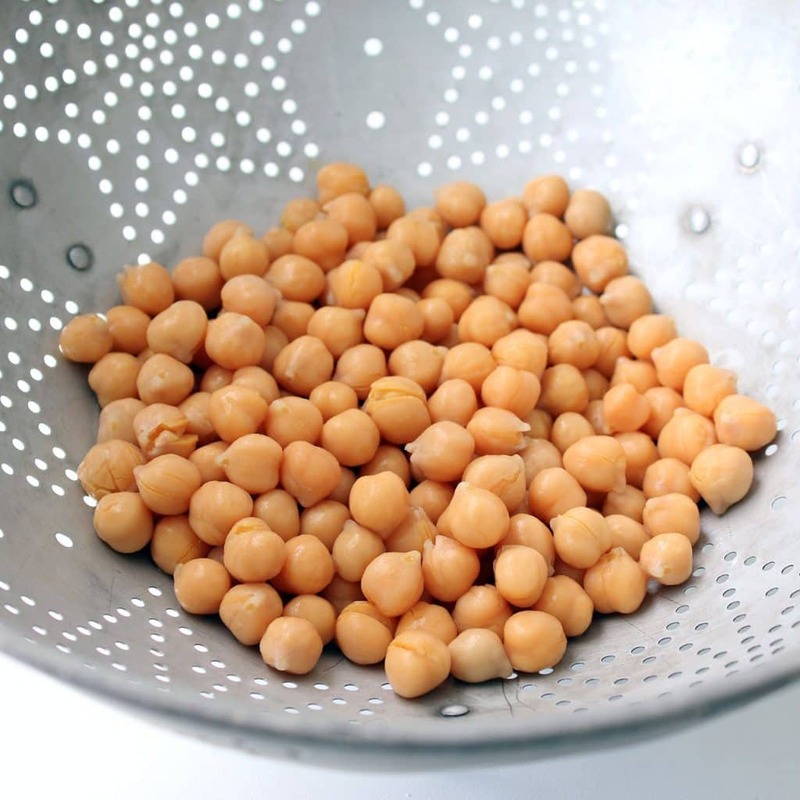 1) Open can of garbanzos, pour in a strainer and rinse with cool water. Shake off excess water and pour onto a tea towel. Gently rub garbanzos with towel, in a circular motion. Discard any skins that fall off. 2) Place garbanzos on a parchment lined baking sheet and allow to dry to the touch. It is important that they are dry before coating in oil or they will not get crunchy when roasted. If you are running short on time you can place the baking sheet in the oven while it preheats to evaporate the remaining moisture. 3) Once dry, place garbanzos in a small mixing bowl with olive oil and gently mix with hands or wooden spoon until coated. Then sprinkle with finely ground sea salt and gently mix. Return garbanzos to baking sheet and place in 400 degree Fahrenheit oven to roast for approx. 40 minutes. Shake baking sheet in a circular motion every 10-15 minutes to ensure even roasting. Remove from oven when garbanzos are a medium brown color and crispy when tasted. Set tray on cooling rack. 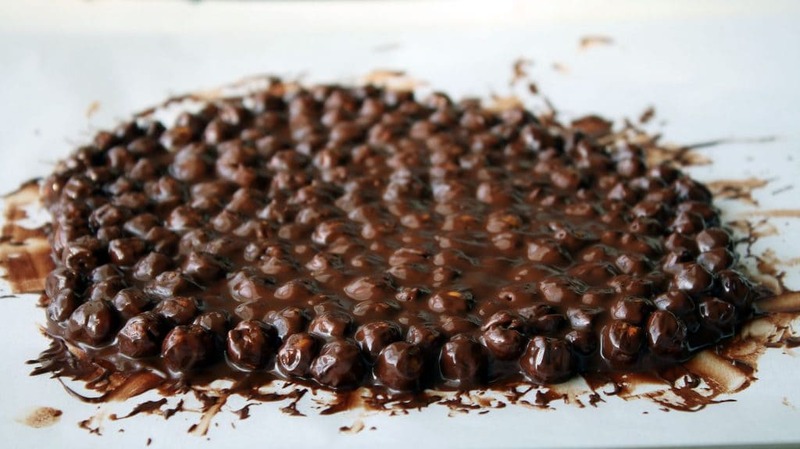 4) While garbanzos are cooling, melt chocolate chips. This can be done on the stovetop or in a microwave safe glass bowl. Heat chocolate in microwave on power 7 for 30 second increments stirring after each increment. Chocolate should be completely melted and drip off of the end of the spoon with relative ease. Pour chocolate in small mixing bowl and add garbanzos while they are still warm. Stir with a wooden spoon until evenly coated and pour onto a baking pan (see picture in post) with a fresh sheet of parchment paper. Spread evenly on baking sheet with spatula. Refrigerate for a few hours to solidify the chocolate. 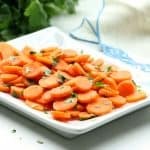 Once very firm, remove from refrigerator and either cut with a sharp knife or break into random pieces. Store in an airtight container at room temperature or refrigerate. Made this yesterday and it’s so yummy! 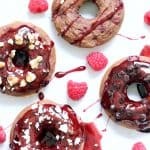 I love this unique idea, keep creating recipes, Jana!!! I keep the bark in the freezer because I live in Texas and chocolate melts in your hands unless its in the freezer! I actually just finished eating a couple chunks! You need to make this! Thank you soooo much for your recipes and your fabulous photography. You are indeed an artist officinado. Would putting the beans in a dehydrator work? Thanks so much!! I’m so glad you like them! This is awesome! What a creative idea!! Hi Erin! Thanks so much!! That’s very nice of you to say. They really taste good too! !